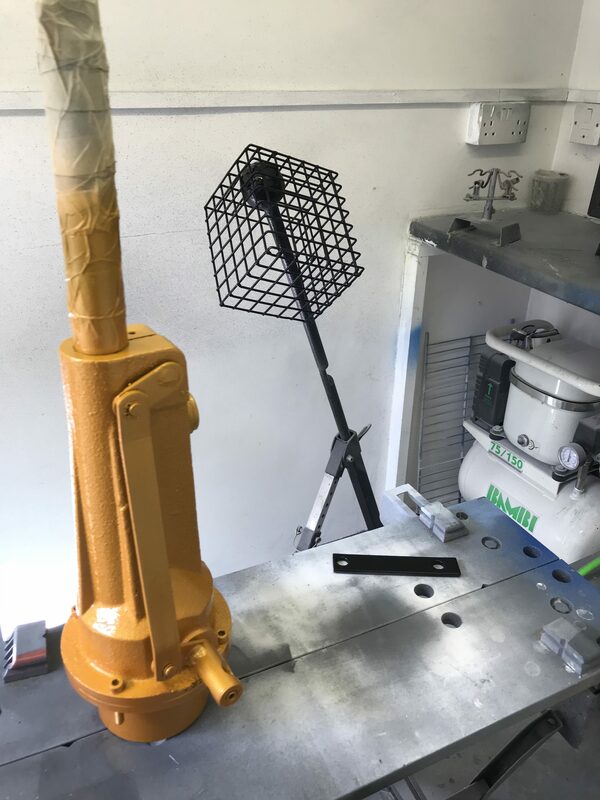 My Custom Paint shop is now up and running. 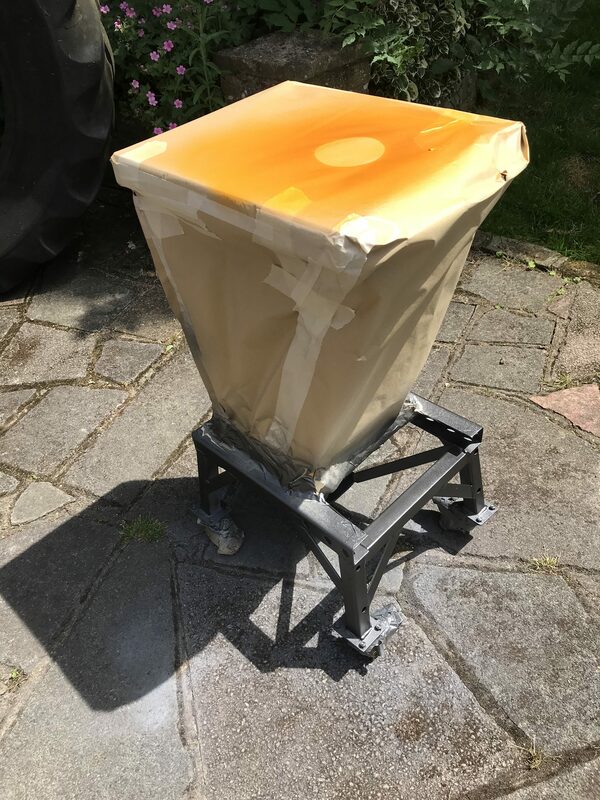 Having just completed one of the largest and most varied custom paint commissions that I have done; I now have some time too update the website…. I have been custom painting for a very long time, forty years to be exact. 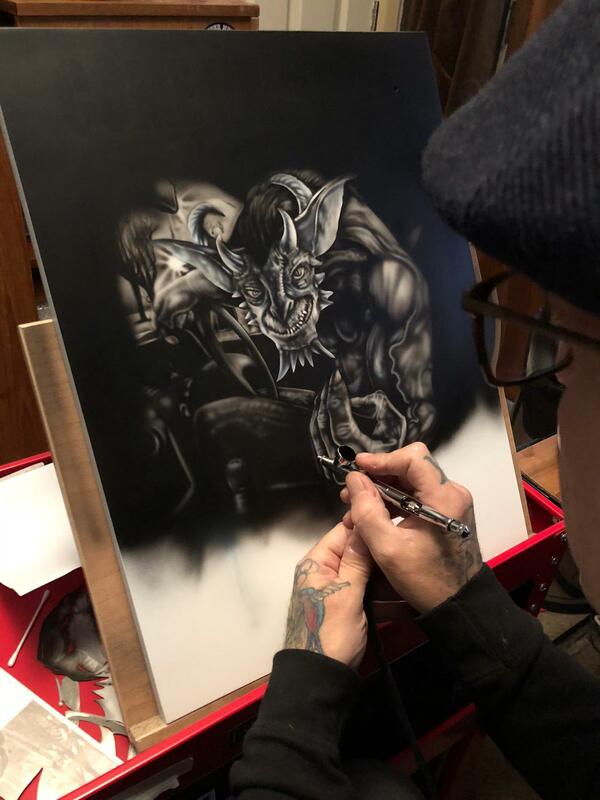 For the last fifteen years it has been very “on and off” as I managed to get hooked on tattooing, so I have been exploring that craft for quite some time, it is not something one just “picks up”. To put things into perspective the last time I painted a bike the Suzuki GSXR Bandit was the bike to have. So I needed a project to get my eye back in. Enter On The Road Tattoo, the perfect client. Perfect because it is my new Tattoo studio so I am the client. 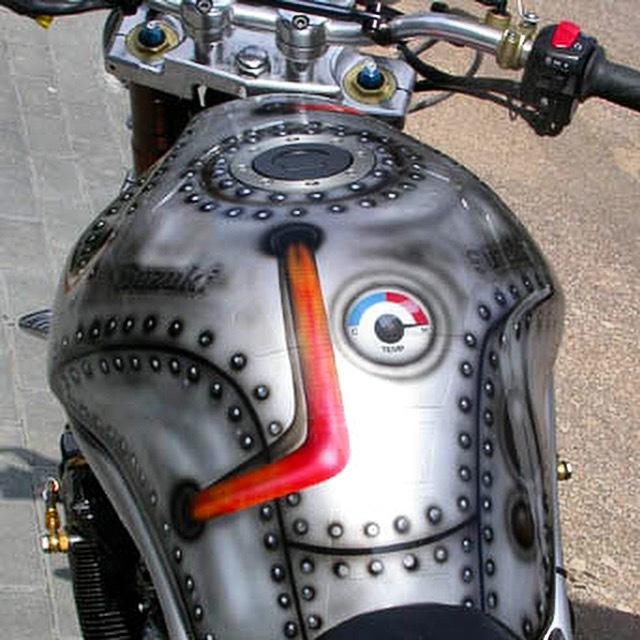 Yes I still tattoo and I needed a studio that allows me the freedom to also custom paint. So once the studio was built I took my tattoo hat off and put my Custom Paint mask on. I do not usually get involved in fabrication but as you will see from the galleries there was a fair bit of design work. Let’s call it shed built rather than fabricated. The client chair was an existing chair from China, a big hefty thing that over promised and under delivered. I was actually breaking it down to take to the dump when I decided to save it. Much angle grinding followed. The frame was powder coated by Max Powder of Hemel Hempstead, used these guys a few times and they do a good job. The base and jack were stripped and painted accordingly. 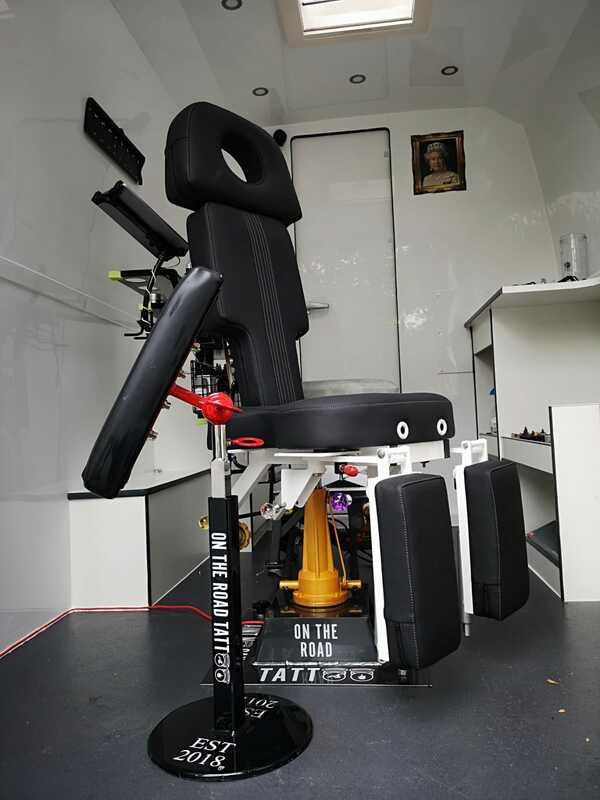 The theme for this mobile Tattoo Studio is “The Tattoo Race Truck”. Because it is based on a race truck conversion. 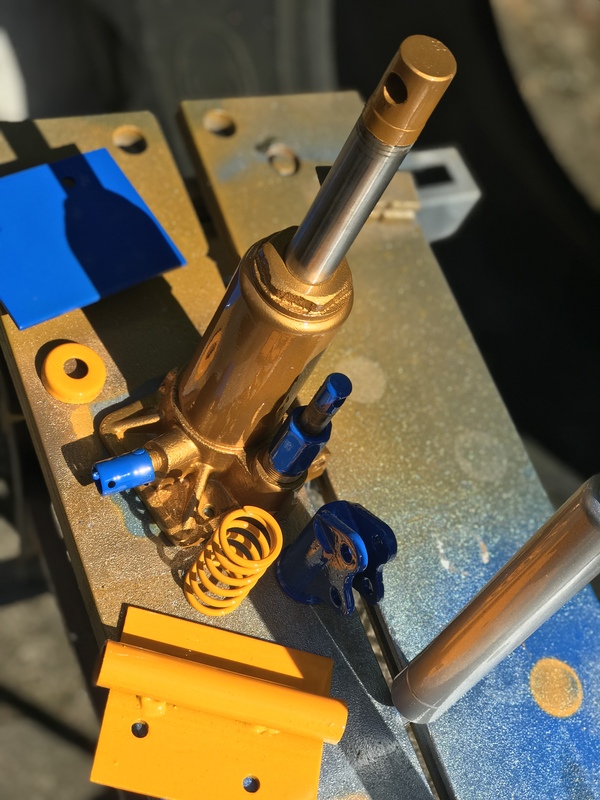 So I decided to give the jacks in both the customer chair and the tattoo workstation an “Ohlins theme”. When I raced bikes I swore by Ohlins so its a little bit of a homage to the brand. The workstation is based on a motorcycle stand. It had been sat under my pit bike with oil leaking on it for over six months. We fashioned a set of shelves that bolt on to the stand. Then whilst my back was turned, someone threw a bucket of red oxide primer mixed with cement dust over the finished product. I had not planned on practicing my preparation skills but practiced they are. The Tattoo Workstation was always going to be difficult. This is not “show paint”, it’s a blend of shed built and race paint. So nothing was dismantled and I had to undergo a masking mission to avoid all of the moving parts, whilst still getting the paint on every part. Easier said than done. Several hours masking and spraying later I had my three tone Tattoo Workstation and it was time to get it back in the Custom Paint Shop to airbrush and lacker. 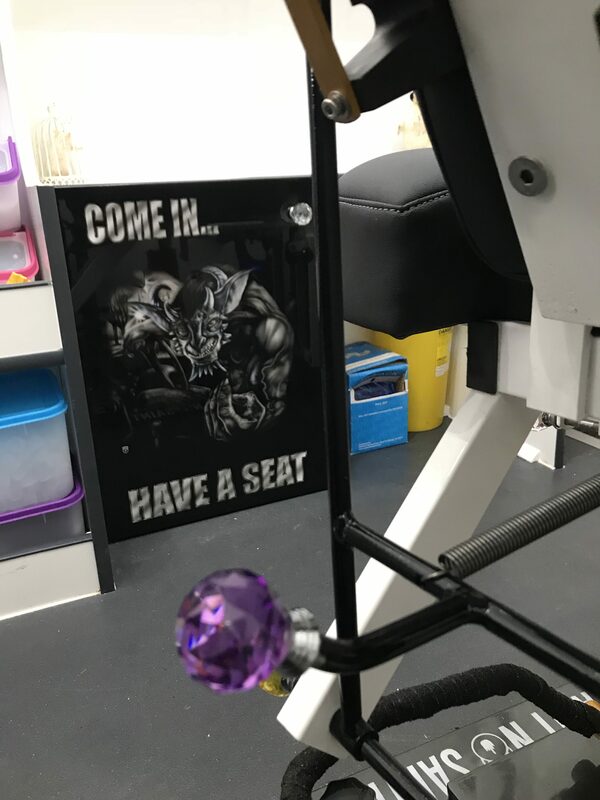 With the workstation and chair done a Tattoo Armrest was added to the list and this was also painted to match. I had a little bit of fun with this as I distressed and aged the script and logo on one side. Then it was on to the custom painted cabinet doors. A separate post will follow on the doors. But to give you a taster they are made to measure MDF doors as you may have made for your Kitchen cabinets. I seal the MDF, prime and paint. 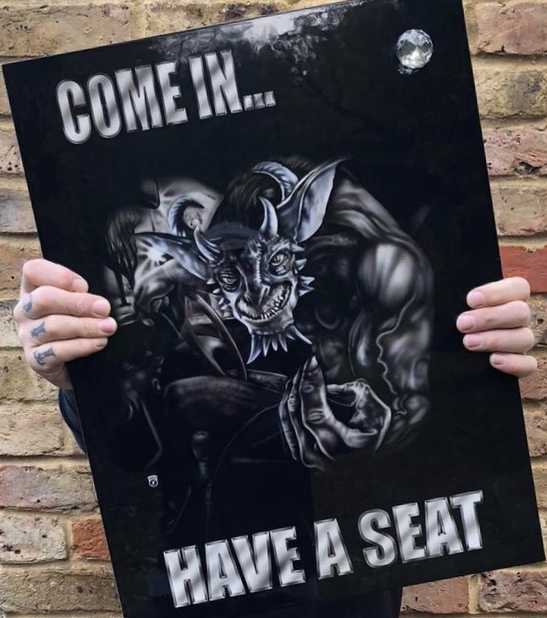 On one of the doors I have airbrushed a piece of artwork, I came across online. I have given it my own style but relied heavily on the reference. It was perfect for a Tattoo Race Truck, now we know who is driving. At the time of writing this post the second door is still in progress. although the paint and lacker is done it just needs a polish and then some hand finished lettering with the brush. I am planning a post on custom kitchen cabinet doors, I really enjoy doing them and they make a great addition for a unique custom designer feel. What do you get the kitchen that has everything? Just call him “driver”. I started with a few hard masks just to lay down some shapes and then started with his face. There is a lot of freehand airbrush work in this one and to be honest I think I got a bit carried away in certain areas. Very pleased with the result and by the end of this project I feel that my technique is back on point. The script on this piece is airbrushed as apposed to traditional hand finished lettering. That will be going on the adjoining door when I list out the rules of the studio. 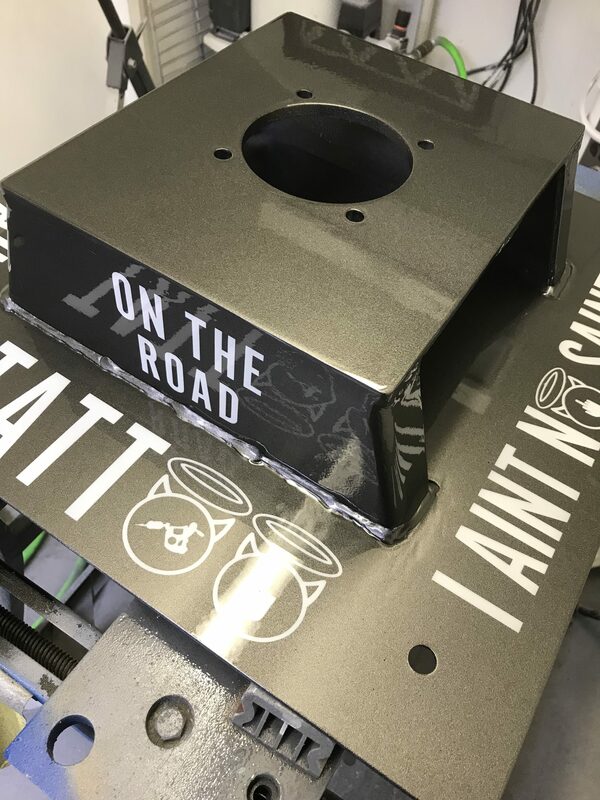 It does not end there, the interior of the Tattoo Race Truck has quite a few paintable panels. Going forward I will be airbrushing most of them in between commissions. Do check back on this project as i think it should turn into something quite interesting. With the Tattoo Race Truck nearing completion, well the first stage of completion. My diary is open for commissions as from the 11th of November 2018. Just drop me a line via the contact page or give me a call if you would like to get something done. 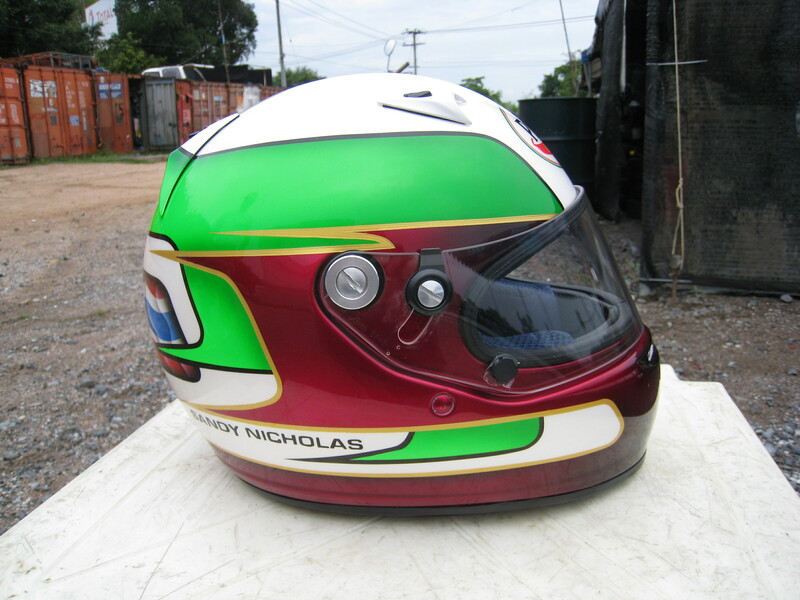 I tend to specialise in race helmets and yes, at time of writing I have time to get a couple of lids done in time for Christmas.